Comments: History has been well preserved in this charming colonial but the classic interior will need some loving upgrades and cosmetic improvements. Full front porch adds to the charm. Original front door enters to the foyer. Glass french doors to the living room which then flows to the dining room. Back rooms are spacious and can be multi purpose. Great room or family room is the entire middle of the house with windows on both sides. Entering the kitchen you will find a true country kitchen complete with built ins and a "Split Door" to back porch. Upstairs are the generous bedrooms and a full bath. Outside bilco doors are the entrance to the basement w/utilities and HVAC. Shed has a history all of its own. 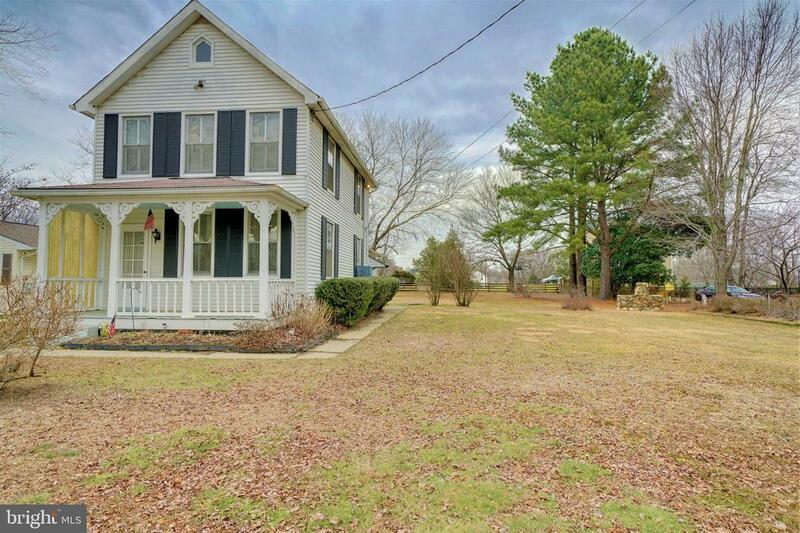 Plenty of room to grow or roam on this lovely lot complete with mature trees. Wonderful community with old and new homes. Walk to High Ridge Park with trails and recreation facilities. Skip stones in the Patuxent River. Minutes to I95, Rocky Gorge Reservoir and Ft Meade/NSA. Great home for a little sweat equity or just a project of love for one lucky buyer who wants to restore a charming old home. A very loved family home with lots of history!